Call about our WINTER specials! Built as a monument, a classic building is reinvented. 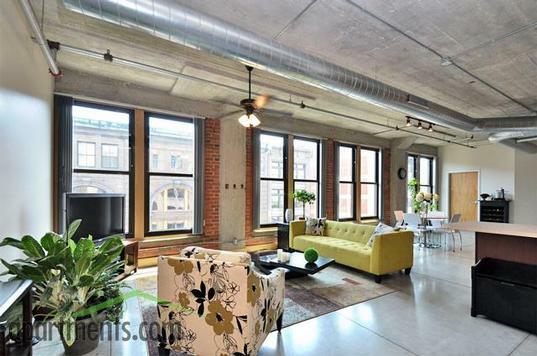 Introducing the Fashion Square Lofts. Style and choice - like fashion, it is up to you. 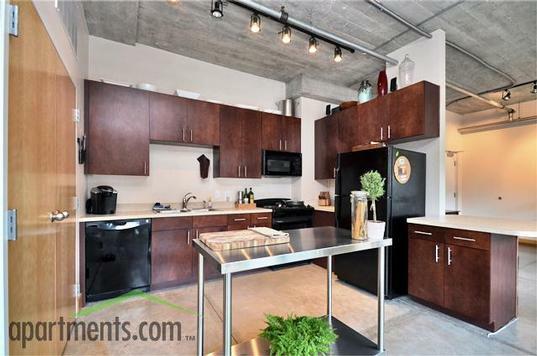 You have twelve loft designs, four sides and seven floors to choose from - come see which city loft apartment fits your style. 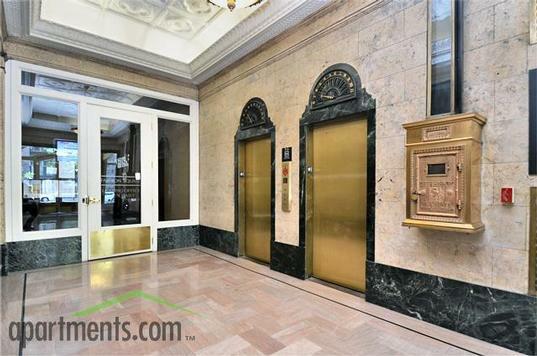 Located at the corner of Washington Avenue and 13th Street, the FASHION SQUARE building was designed to showcase St. Louis' power and influence in the world of design and fashion. Today it stands as a symbol of St. Louis pride and determination to once again make downtown a vibrant and stylish place to live, work and play. The FASHION SQUARE LOFTS present an opportunity for you to LIVE the city and to be part of the energy. 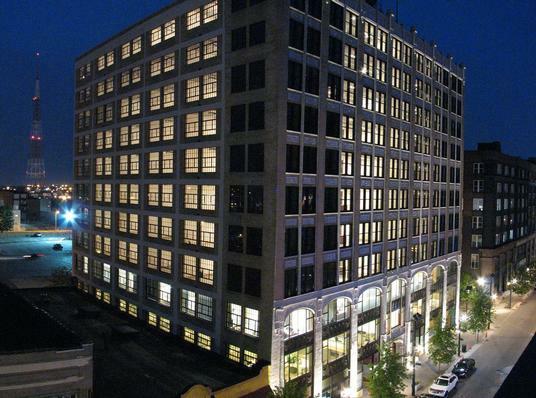 Living in the heart of the Loft District at the FASHION SQUARE LOFTS gives you conveniences you can only get downtown. The lofts on Washington Avenue offer an abundance of restaurants, lounges, coffee houses, dry cleaners, shops, markets and more right outside your door. The St. Louis Blues, Cardinals, Jefferson Memorial Expansion, The City Garden, City Museum, galleries, theatres are just blocks away. 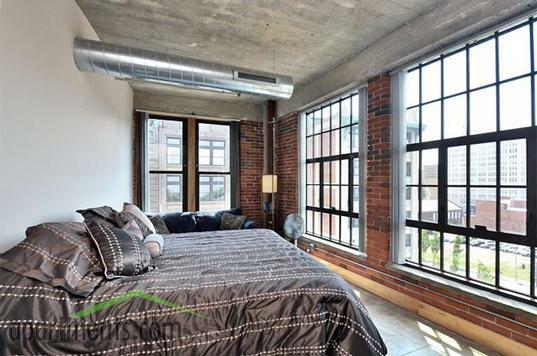 The lofts will offer you a unique city lifestyle with one and two bedroom configurations, options of open design lofts or more secluded and private designs. 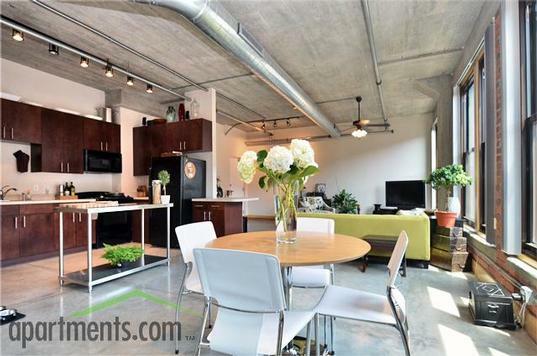 The lofts feature exposed brick, glass, concrete walls, rich kitchen cabinetry, tall moldings, birch doors and ceiling heights of 10-13 feet. There are views in every direction and a rooftop pool and clubhouse for when it's time for you to relax and play.